SP Flash Tool is a user friendly tool designed for MediaTek devices like Tecno, Infinix, Innjoo, Gionee, BML, etc. SP Flash Tool is a great piece of software allows you to flash your Smartphones ROMs (Stock or Custom). It supports flash stock, installing custom recovery, Unbrick the Bricked Smartphones and firmware updates for your Mediatek devices. Below are the guide to Flash Custom ROMs using SP Flash Tool on Windows Computer. Disclaimer: Don't flash another preloader and DSP_BL blocks! It is always dangerous! On some models of phones you will have a brick even if you download these blocks read from a phone which you own! Always remove from them marks in SPFT! ALWAYS have a working backup of your original ROM before you flash a new unknown ROM. Shelaf take no responsibility for any harm done while attempting this! 3. 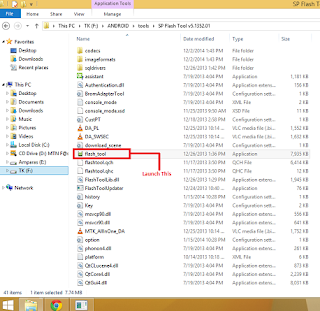 Open the folder you extract it to and locate flash_tool, double click on it to open. 4. 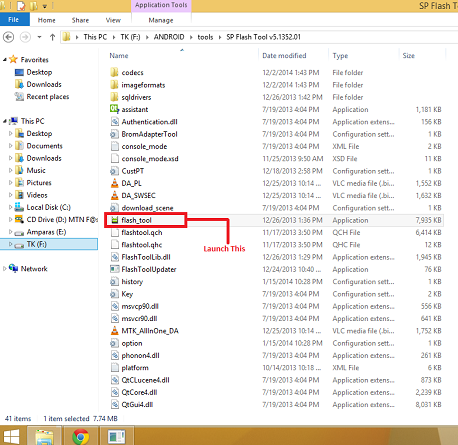 Locate the scatter file in the backup or Rom of the phone that you downloaded. It's usually a text file. (ALWAYS only load a ROM that is 100% made for your phone, flashing a wrong ROM may make your phone non-bootable). 6. Connect your Smartphone to the computer with a USB without battery, if possible to remove. Press, Vol Down or Up so that the computer can easily detect the phone. 8. Close the SP Flash Tool and disconnect your phone from the computer. Congratulation, your Smartphone is now flashed with the new Stock Rom you downloaded.